Length: 149.5mm. 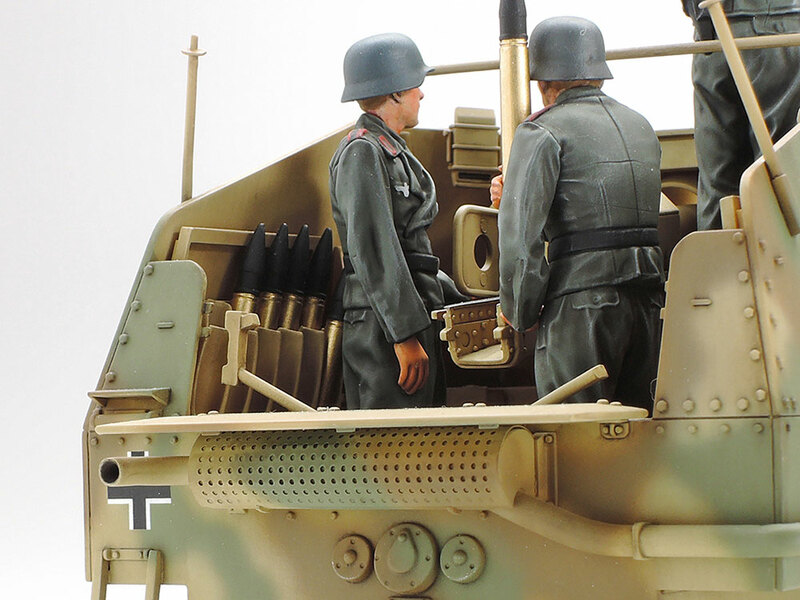 Image shows painted and assembled kit. 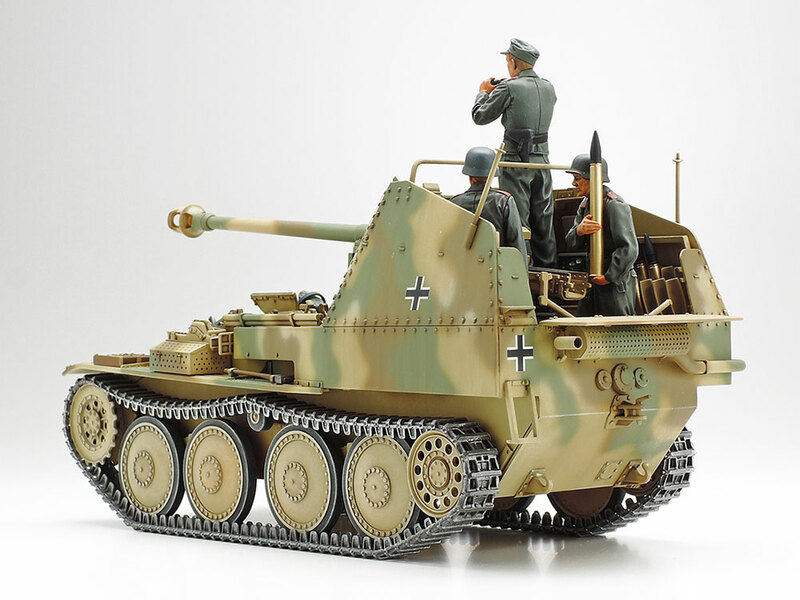 The Marder III M was the last of three German tank destroyer variants based upon the captured Czechoslovak 38(t) tank, and sported a powerful 7.5cm gun in an open-top fighting compartment. 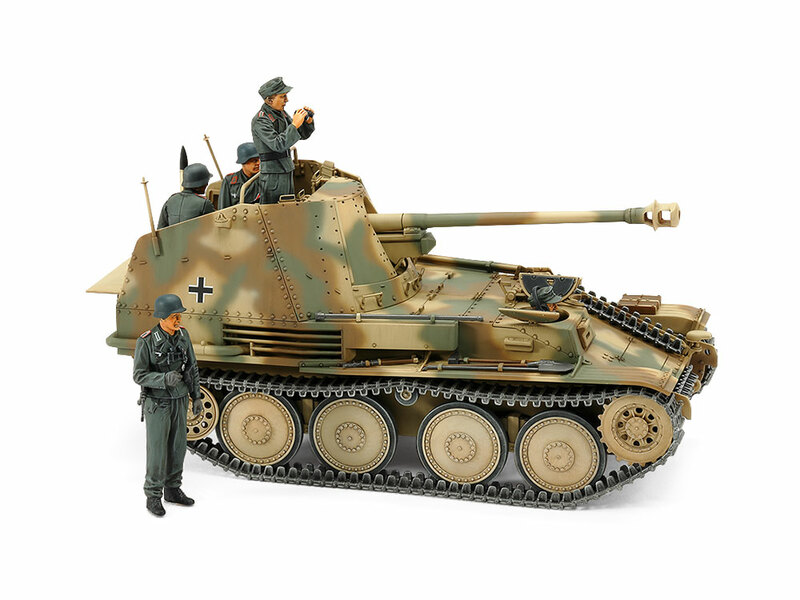 As the Allies pushed on from their Normandy landings in June 1944, Marder III Ms were on the scene in a largely defensive struggle against enemy armor. 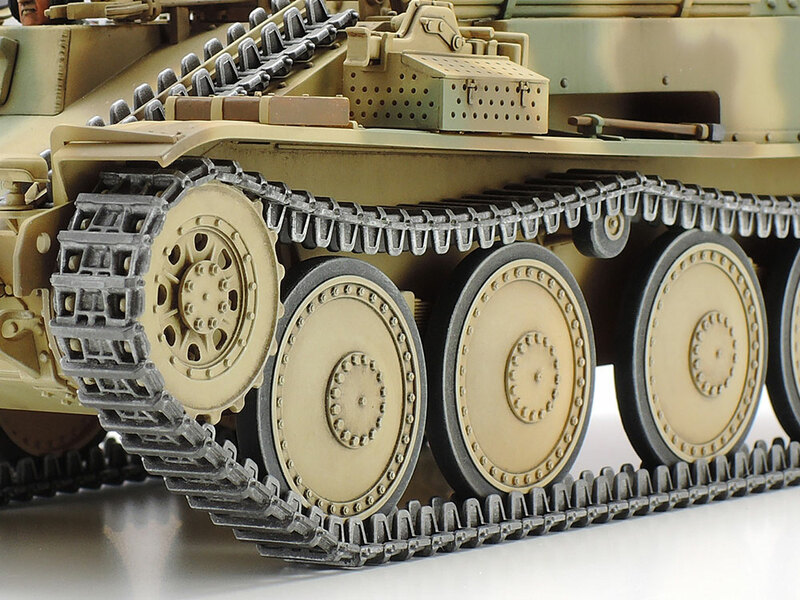 ★This is a 1/35 scale plastic model assembly kit. Length: 149.5mm, width: 61mm. ★The distinctive, compact form of the AFV is captured with aplomb. ★Detailed interior really catches the eye. ★Assembly type tracks feature single piece straight sections. ★12 depictions of shells are included, and can be stowed in the rack. ★Features a photo-etched part to capture the muffler cover. ★Includes four full body figures and one torso, plus two marking options. 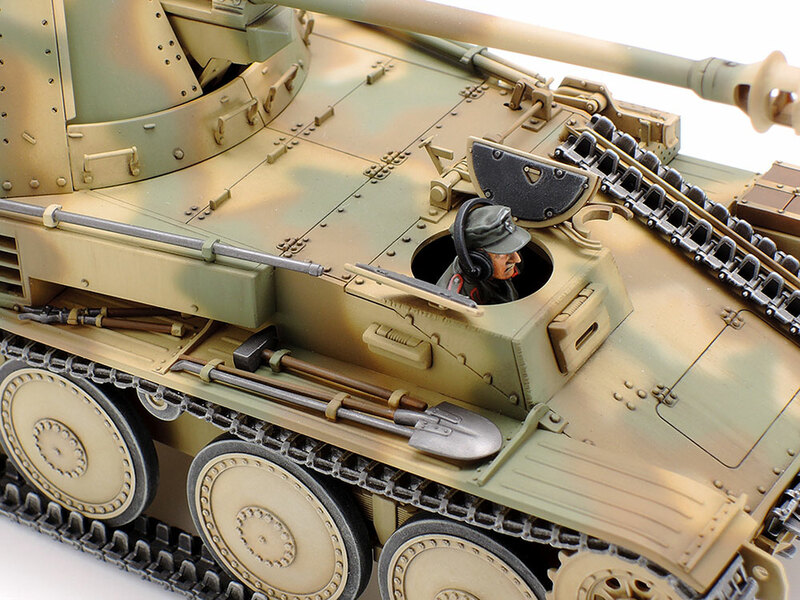 ★The Marder III M form is captured in style, with figures in realistic pose providing a real sense of action. 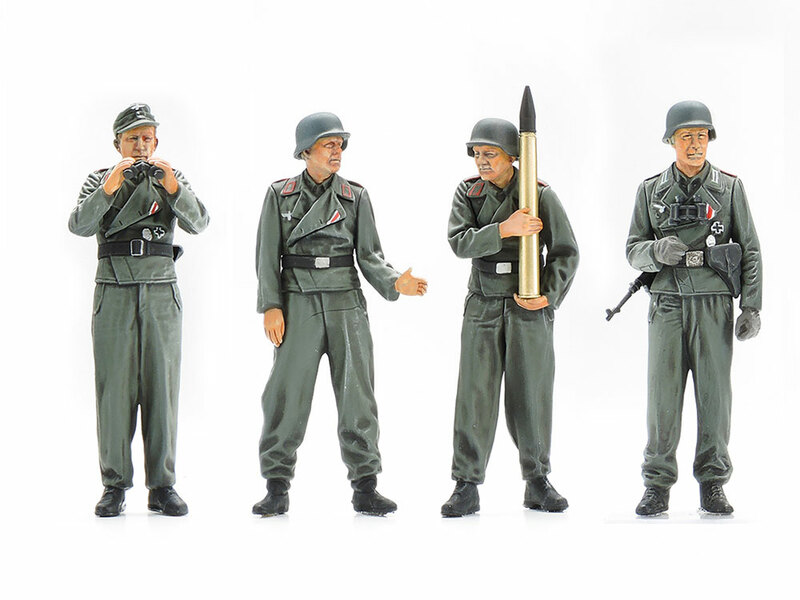 ★The latest scanning techniques were used in the creation of officer, gunner and loader figures. ★One-piece straight runs on the tracks allow for capture of upper run "sag." Guide horns are also depicted. 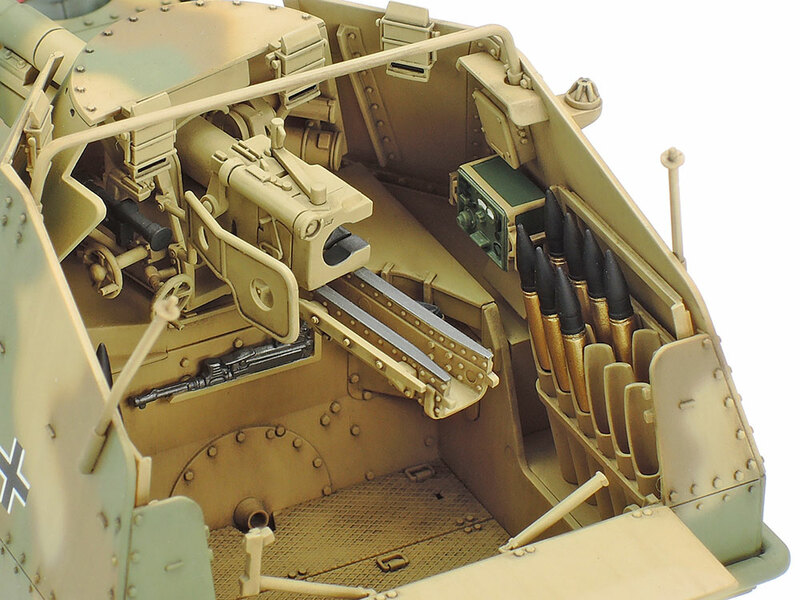 ★Left: A detailed interior features separate parts for breech section, radio and more. Shells and rack are included. ★Right: Driver torso figure is also included in the kit. Note hatch underside detail, tools and accessories. ★Left: At the rear, a photo-etched muffler cover adds detail. This image shows two of the crew in action pose. 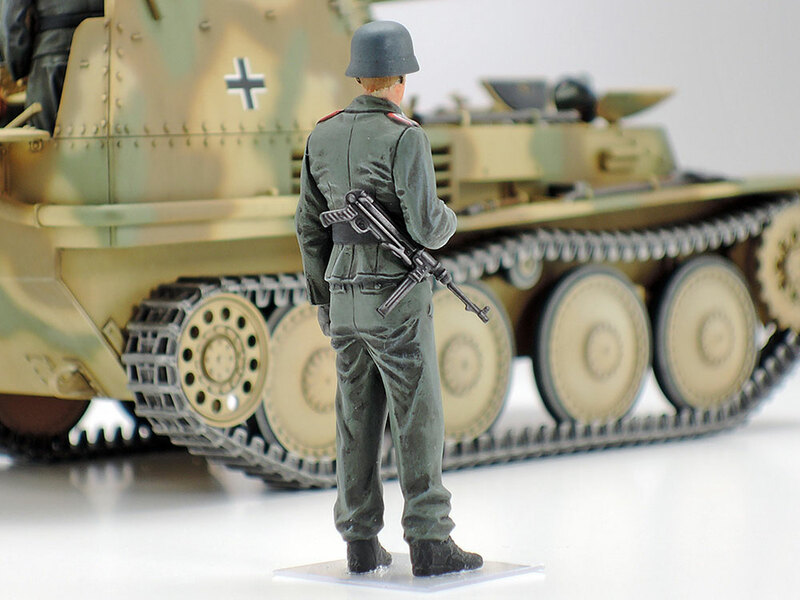 ★Right: The Panzer grenadier is depicted standing outside of the AFV, with helmet donned and a slung MP40. 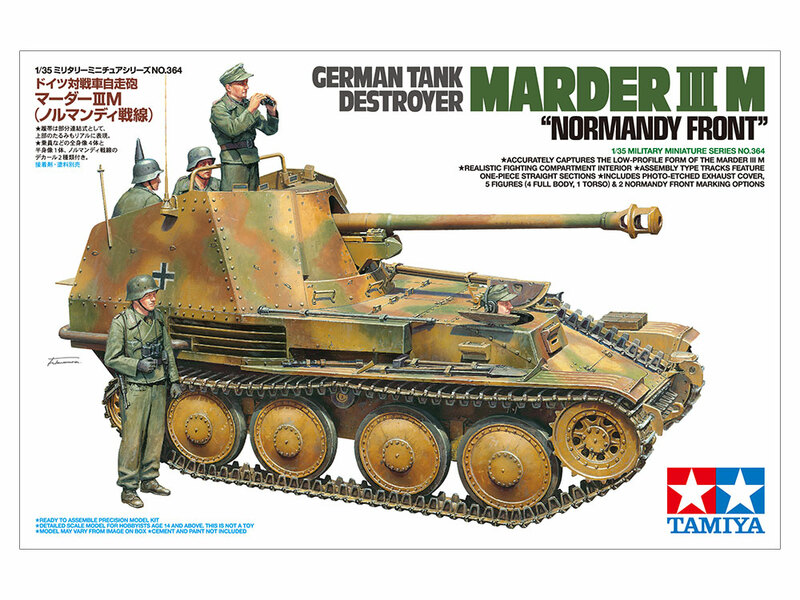 Tamiya Color paints for painting the German Tank Destroyer Marder III M "Normandy Front"
Information is correct as of February 6, 2019. Specifications are subject to change without notice.